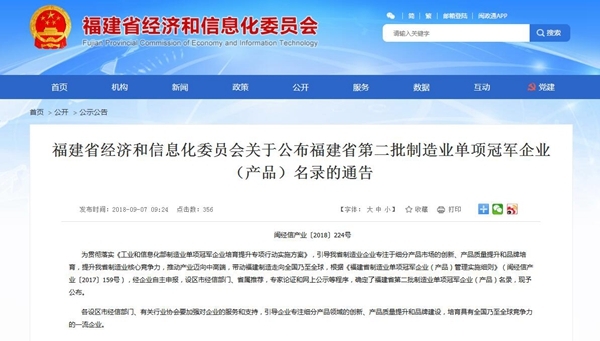 On September 7, Fujian Provincial Economic and Information Commission announced the second batch of Individual champion product list in Fujian Provincial manufacturing industry. 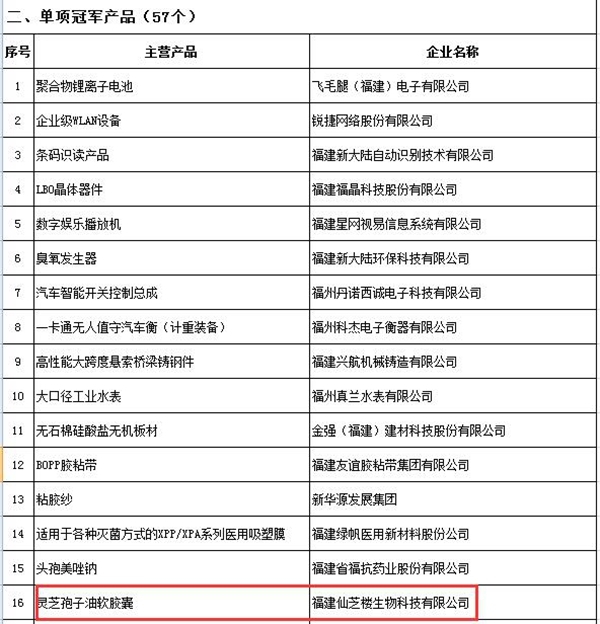 In total 11 enterprises were awarded the title of Individual Champion Enterprise, and 57 products were selected as Individual Champion Product. The Ganoderma Lucidum Spore Oil self-developed by GANOHERB, as the mere Ganoderma Health Product, was successfully chosen as Individual Champion Product after rounds of selection. It is reported that this Individual champion product selection criteria are high. The products to be entered must meet the following conditions: the enterprises who run for the Individual champion must have a strong market position and a high market share, and the market share of Individual products ranks in the top 5 in the country and in the top 3 in the province; the production technology and process are domestically leading while the product quality is excellent and the relevant key performance indicators are at the leading level of similar products in China; the enterprise has strong continuous innovation ability, owns core independent intellectual property rights, and leads or participates in formulating technical standards for relevant business fields. 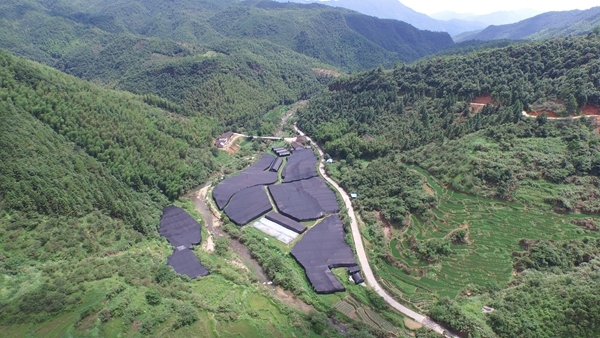 For more than 20 years, GANOHERB has not only attempted to plant Ganoderma lucidum with organic standards in the source of Minjing River and Wuyi Mountain in Fujian, the origin of artificial log cultivation of Ganoderma Lucidum in South China. GANOHERB has passed the global GAP certification and organic certification of China, the US, Japan, the EU for 12 consecutive years, was in the lead in the drafting of the national standard on Ganoderma lucidum spore powder and the international business standard on Ganoderma lucidum extract. Ganoderma Lucidum spore oil, the core product of GANOHERB, as the nonsuch product in the two-thousand-year course of Ganoderma lucidum, is extracted from long-cultivated, cell-wall broken Ganoderma Lucidum spore powder by means of supercritical CO2 extraction. Such an extraction method as one of GANOHERB's patents adopts the process of grading decompression and fractional collections to separate the oil and other impurities, thus to enhance the oil purity and make GANOHERB Ganoderma Lucidum Spore Oil become the concentrated essence of Reishi Mushroom. 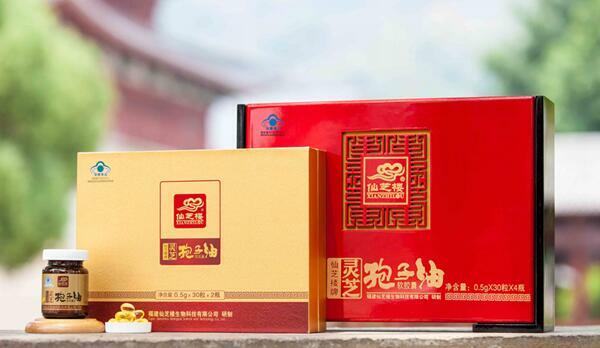 In 2010, GANOHERB Ganoderma Lucidum Spore Oil appeared as the "key highlight of the collections" of the Fujian Pavilion in Shanghai World Expo and won the title of "Brand-name Product of Fujian Province" and "Excellent Product Award of the 18th High-Tech Fair", "Lingzhi Brand Trusted by Consumers in Health China". This product is widely praised in nearly 100 cities in China including Beijing, Shanghai, Guangzhou and Shenzhen, and has been exported to more than 30 countries and regions around the world.